Miami's #1 Virtual Reality Rental Co.
Want to bring VR to your next Miami event? We will make it easy & ensure your guests have a blast. We've worked with the likes of Twitter, GE, & Macy's. 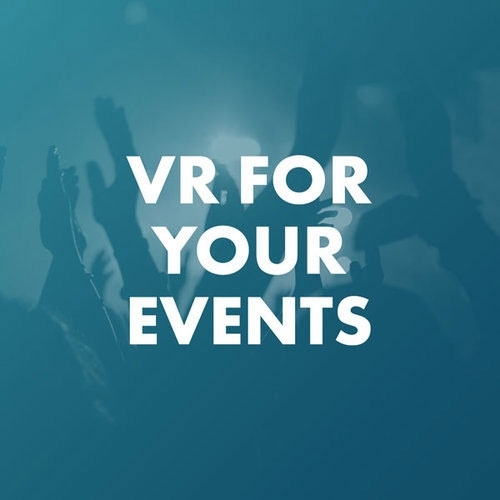 Easily book virtual reality for your next event in Miami, FL. We have the best equipment, customer service, and virtual reality experiences. Do you want to wow your guests? Do you want them to talk about how awesome your event was the next day, week, or month? If you answered yes, then you're going to need to offer your guests something new, creative, interesting, and fun. That's where virtual reality (VR) comes in. Virtual reality (VR) is the hottest new technology and it delivers a new, fun, relevant, and interesting experience to all types of events. If you're not sure how renting virtual reality (VR) for your next Miami event would work or you want to talk specifics contact us and we will be happy to help. The seaport city of Miami, Florida, sits on the Southeast coast of the state and is one of the last major U.S. cities, other than Homestead, before you get to the Caribbean. Known as The Magic City due to its high rate of growth, Miami offers many animal-related attractions, including the Miami Seaquarium, Jungle Island, and Zoo Miami. For visitors and residents who seek a more nature-filled experience, the Fairchild Tropical Botanic Garden has an extensive collection of rare tropical plants, exotic butterflies, and the works of arts from a variety of artists. Miami is also the location of a variety of nightlife locations, such as dance and comedy clubs. Like many other favorite Florida vacation destination spots, Miami sits on the beach alongside the Atlantic Ocean, allowing locals and tourists to easily enjoy the sun and sand. Miami also has a wide range of professional sports teams to choose from, including the NFL’s Miami Dolphins, the NBA’s Miami Heat, the MLB’s Miami Marlins, and the NHL’s Florida Panthers. With the large selection of family-friendly and adult activities taking place during both the day and t night in Miami, you need to create an enthralling and original experience for your event to compete with local events. But don’t worry! You can throw a memorable party using high-quality Virtual Reality (VR) from VirtulaRealityRental.co. Contact our professional even staff at VirtualRealityRental.co to help you plan and execute your next event. We offer the latest in high-quality VR technology, including VR games, puzzles, and more. We have just what you’re looking for, so contact us today! "Soaked in the breathtaking views of Miami Beach and felt my heart fill with the city’s liveliness. Not in a vacation but while trying VR at a business event in Miami. Too good to be true." "Technology never fails to impress or awe us! I never thought VR could be this real. After trying it at a corporate event in Miami, I am full of praises for the organizers." "A small idea can turn your event really BIG. I went to a corporate event in Miami that became extraordinary because they included the VR experience. I think more businesses should learn from them." "Never thought attending a business party would mean flying over scenic grasslands and trekking on the lush mountains. Experienced VR for the first time and it’s left me wanting more." "I had a BLAST…not at a night out or party with friends, but at a business event where they had VR booths for attendees. Wonderful initiative by the organizing committee." "Got to experience VR for the first time at an event in Miami and it bowled me over. I hope more businesses offer this cool technology to their attendees." Have a tight layout? Consider using stanchions between activationt to guide the flow of attendees and keep everyone safe.